Our sliding glass doors are energy efficient and easy to operate. Sliding glass doors provide a grand view and easy access to the outside. So, if your current sliding doors are difficult to use or are letting in the outside air, it’s time to upgrade them to ones that are actually enjoyable to use and look at. Home Solutions of Iowa is here to help homeowners in Des Moines and throughout the entire state get sliding glass doors that enhance the beauty and functionality of their homes. 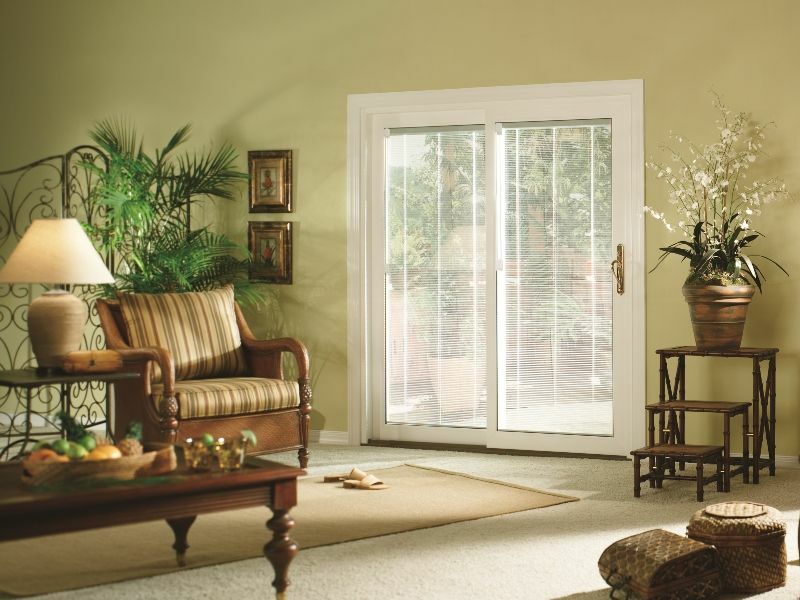 Home Solutions of Iowa will have your sliding glass doors custom manufactured specifically for your home. This means that not only will it fit perfectly, but you will also be able to select from numerous options so that your doors complement your home beautifully inside and out. These options include decorative glass, colors and woodgrains, hardware finishes, screen material, and much more. To learn more about the sliding glass doors we install for homeowners in Des Moines and throughout the state, contact Home Solutions of Iowa today. We’ll be happy to answer your questions and schedule a complimentary in-home consultation.